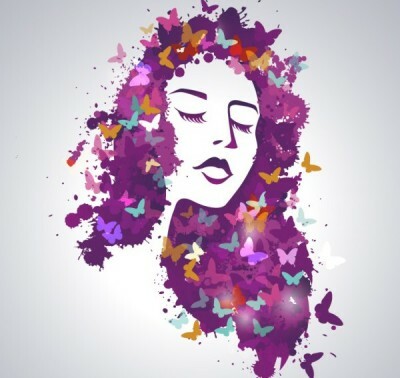 "embrace what you were born with because it's beautiful"
Come Over to the Curly Side & Love Your Hair! You've got curly hair and are looking to make peace with it. It’s curly, it’s complicated, it’s fun, and we get it. DevaCurl products are all inspired by conversations with real people and the stories of their hair. And our stylists won't just give you amazing curls, they'll teach you how to create them on your own! 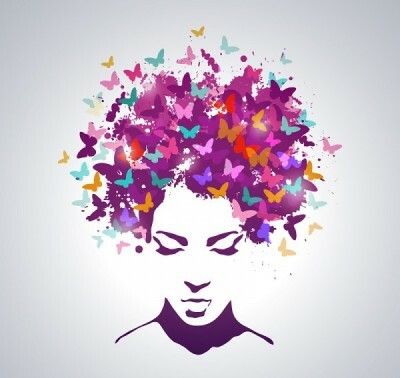 ​We help people believe in the very simple idea of loving their curls in their own way. It’s not dogma, it’s Deva®. 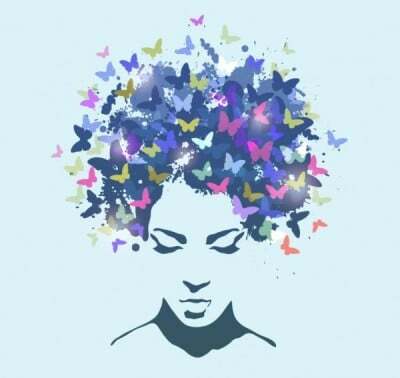 In addition to Deva curly cuts, we cut all sorts of hair in all the ways that delight you, and offer expert coloring and other treatments. The private, upstairs spa suites offer body treatments, including Massage and Body Waxing. We also stock a large selection of DevaCurl products, so you can keep your curly look rocking every day. With 30 years of experience, Sarah is the red-headed, curly haired proprietress of Kiss Kiss Salon. She started out as a curly specialist, apprenticing at Alder West, where she spent seven years. She then did a two-year stint in New York City, at Classic Cuts, working with Roger Thompson trained professionals. Back home in Portland she spent 15 years as the co-proprietress , with Lee Conrad, of Conrad Stevens 4 Hair in NW. 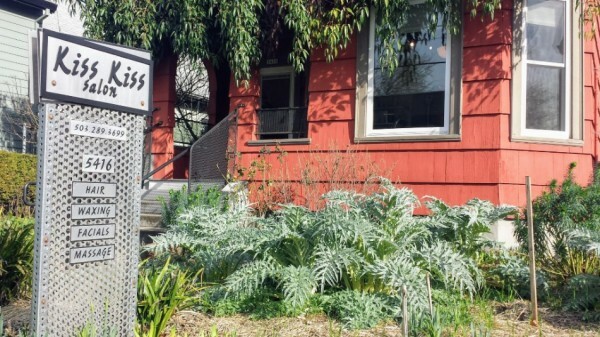 Over ten years ago, she purchased the 1902 house in North Portland that became Kiss Kiss, to reinvest in her neighborhood and community. Sarah was on the early cusp of the curly girl revolution, training with Lorraine Massey. A creative maestro in the kitchen and on the dance floor, Sarah uses her intuitive understanding of flavor and visual profiles to help you achieve what you desire from your own visual profile. 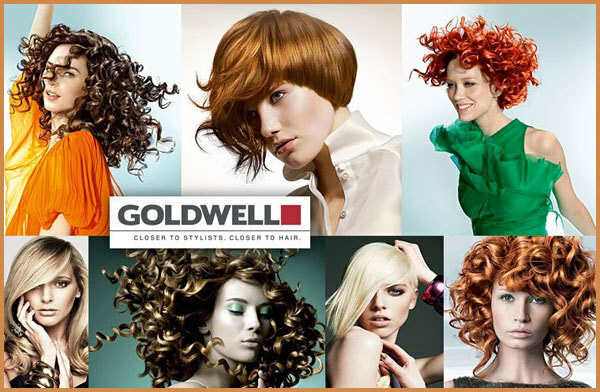 She is also a master colorist (Goldwell Color). The curl doctor is in! Not only does Kym have 30 years experience cutting curly hair in salons in NYC, Berlin and Portland, along the way she earned a B.A. in Art History and a Ph.D. in German Studies. So while she gives you an expert cut for your curly or wavy hair, if you are so inclined you can chat about Modern Art movements and German Literature! In her native NYC, Kym apprenticed with Sassoon Creative Director, Roger Thompson, and worked in the Roger Thompson Salon at Barneys. She is also a Deva Curl Advanced Stylist and Deva Curl Product Pro. Lee has been keeping Portland beautiful for over 30 years. 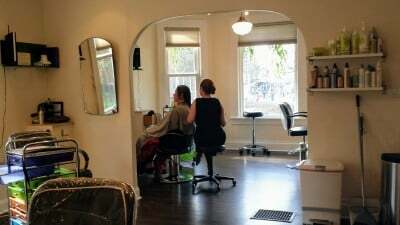 A second-generation hairdresser and proprietor, he spent several years at the Hair Zoo in NW back in the day, and fifteen years as co-proprietor, with Sarah Stevens, of Conrad Stevens 4 Hair. A second-generation hairdresser, Martina is a local girl trained in Portland. She came to Kiss Kiss from Richard Herrera, where she was Goldwell Color trained, and is also Deva trained. Mom of a curly haired girl, Martina loves kids, and also has a great love of the outdoors-- a true Northwesterner. A 1902 North Portland house, carefully updated with sustainability in mind, includes a beautiful water-wise garden and a rotating gallery of local artists curated by Vernissage Fine Art. Several pieces by Portland sculpture artist Zoe Bacon create interest and intimacy in the year round garden. 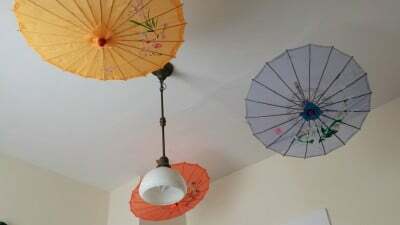 It's an eclectic space that is warm and welcoming, and busy with clients from across the greater Portland Metropolitan area. come make yourself at home! Read the book that started a hair revolution! 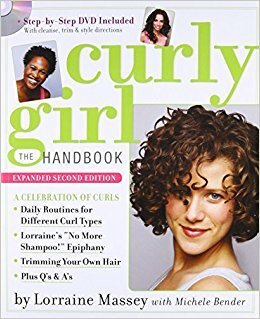 "Curly Girl, The Handbook" is an essential read for curly folks. Learn how to care for your special hair correctly - maybe for the first time in your life! Find Us in North Portland! Take the Yellow Line! 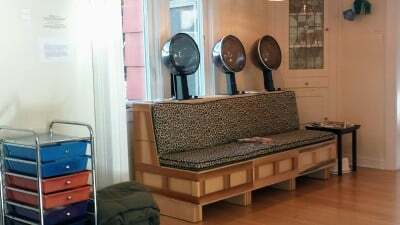 The Killingsworth MAX station (stop ID 11503/11512) is two blocks from your best haircut ever. TriMet bus stop 3169/3170 is at the same intersection. Take the Killingsworth/Swan Island Exit 303 and turn right at the stop sign onto N Alberta Street. Go 3 blocks to N. Interstate Ave. and turn right. Proceed 4 blocks to Killingsworth St. and make a right. Make the first right onto N Maryland Ave. and look for a place to park. We are in the block between Emerson and Killingsworth streets. Call us at 503-289-3699 if you get lost.